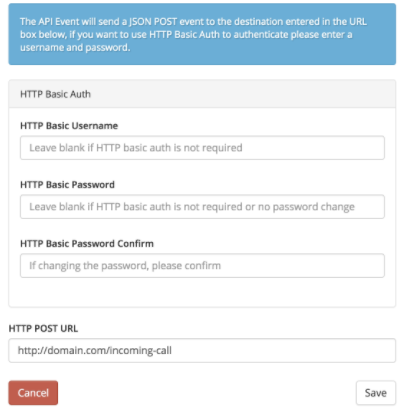 API Events are used to be able to send a POST event to a designated end point. At this point Incoming Call is the only option available however, others may be added in the future. When using the API Events action the following data will be sent to your URL as a standard HTTP POST. You can use the following test command to emulate what the server will send to your URL.